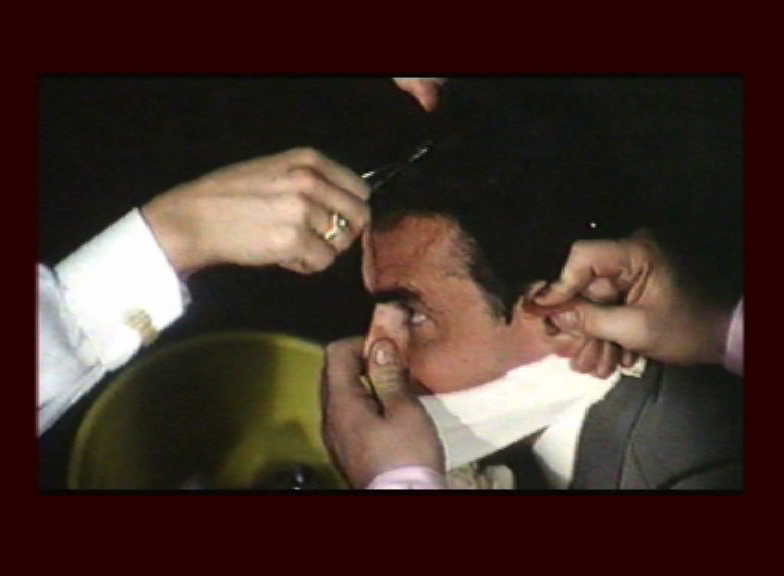 Shown as part of Central Location and independently, Treatment is a video collage of readymade footage, framed on a maroon background. 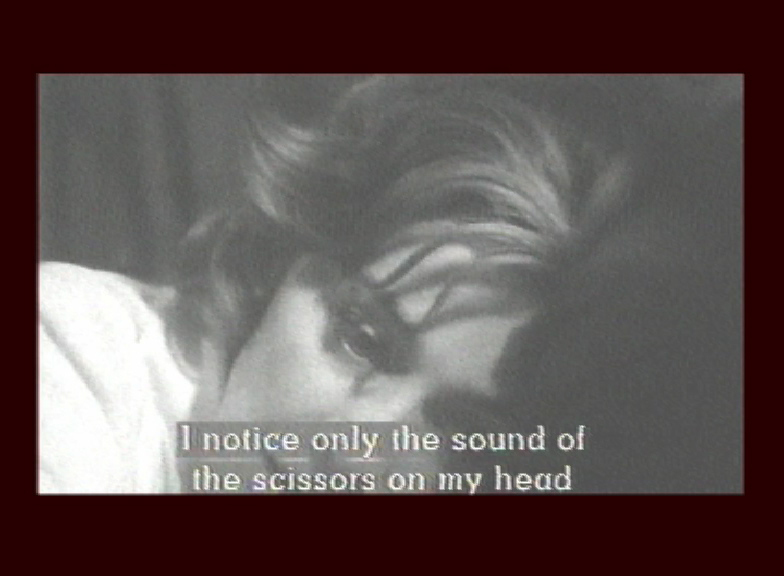 All the original footage depicts scenes of violent hair shaving or cutting within different contexts: joining the army in Full Metal Jacket (1987); prisoners in a concentration camp in Bent (1997); punishment of women sleeping with Nazis in Hiroshima Mon Amour (1959); as a criminal punishment and threat in Performance (1970), and as a disciplinary act in a convent in The Magdalene Sisters (2002). 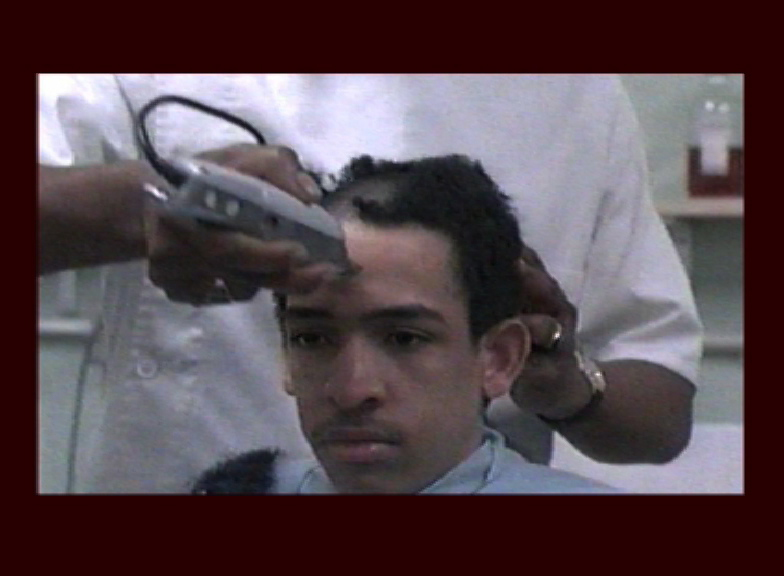 Treatment gathers and cross-references cinematic representations of historical and cultural humiliation, powerlessness and invasion embedded in forced hair cutting and shaving.